Need a System that Prints the VICs BOL? Need a Customised Bill Of Lading? 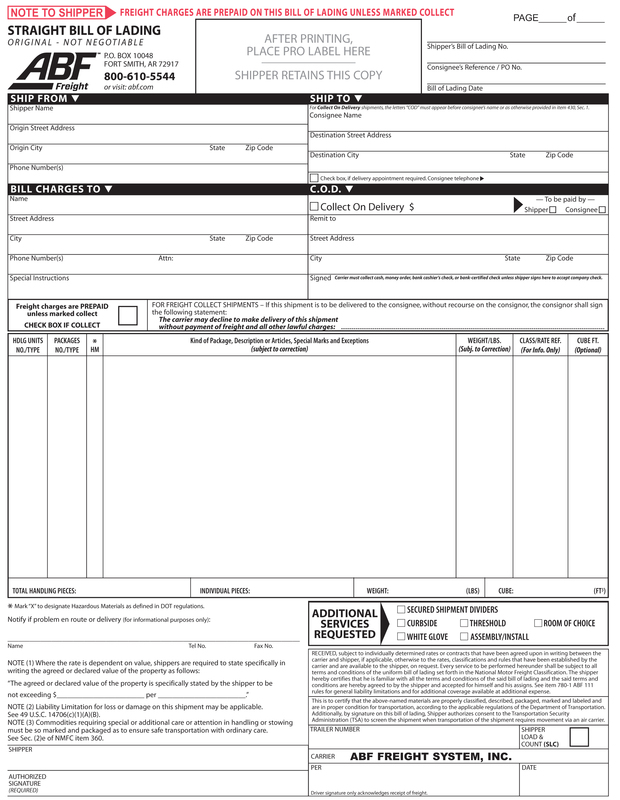 Q - Where can I get a free bill of lading template? Q - Where can I find blank bills of lading?